Canning by-election candidate Vanessa Rauland. 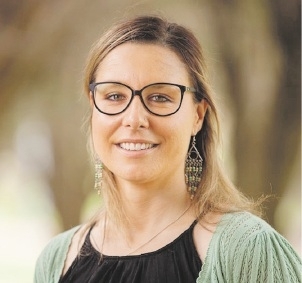 The Curtin University lecturer, renewable energy advocate and small business owner plans to draw on her background and research in low carbon urban development to help create affordable and sustainable housing in the electorate. �When we talk about low carbon or sustainable housing in cities, we�re talking about ensuring that the houses which are built are connected to public transport,� she said. Dr Rauland said the Greens would boost investment in research and development in renewable energy and for new industries in manufacturing. �In WA, where we are seeing the mining boom slowing down, it�s time the Government starts to invest in post-boom industries and jobs. Dr Rauland said almost 50 per cent of households in Canning had already embraced solar technology for power and hot water, but the Government�s �anti-solar agenda� was costing jobs in Canning. �The reduction in the renewable energy target has a direct relation to how many jobs there are and how much solar and other renewable energy is needed in the economy, so that puts a halt on jobs,� she said. �These are the sorts of jobs we should be supporting for our long term prosperity and sustainability. Dr Rauland said Australia was putting itself on a �destructive path� environmentally and economically, especially when the rest of the world was moving away from coal as an energy source. She criticised the Government�s decision to stop the funding of small-scale solar and household projects under the Clean Energy Finance Corporation (CEFC), which the Green party helped establish and would continue to support. Dr Rauland said as a university lecturer she would campaign against proposed university fee increases. �Having worked across education at all levels, I’ve seen how important it is for young people to have the opportunity to grow their skills, learn about their world and have access to better jobs,� she said.